Celebrate Europe through choral singing – EuroChoir is a unique choral event co-organised by the European Choral Association – Europa Cantat every year in a different country. Since 1982, EuroChoir offers the opportunity to young singers to get together for 10 days to rehearse a challenging program with renowned conductors, improve their vocal skills and present the results of their work in public concerts. This special choir project aims to promote the networking of talented young singers at the European level, and to foster the emergence of the next generation of talents. 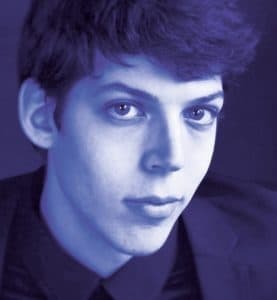 For the years 2019 to 2021, the European Choral Association is designing a cycle under the direction of one of the emerging talent of the European scene, Yuval Weinberg. The sessions should take place in France, Ireland and finally Switzerland. This “EuroChoir” special atelier is for good singers between 18 and 30, from all over Europe and beyond, with a selection procedure. EuroChoir sessions are usually quite intense, with 10 days filled up with rehearsals, concerts and fun activities. But to kick-start the three year cycle of the EuroChoir under the direction of Yuval Weinberg, a “lighter” session is organised in 2019 during the Choralies. The programme will be of course demanding for singers who likes to be challenged, but adapted to the shorter rehearsal time. With more free time, the singers will have a chance to enjoy the festival, the French “art de vivre”, get to know each other and maybe decide to apply again for the next edition in Ireland.